The applications have become an essential part of our mobile. There is practically everything for them like making money, paying bills, learning languages, finding work, etc. There are much-faces (on iOS and Android devices) and terribly absurd. Do you miss anything? Well, you do not have to pray anymore for Google Play or the App Store to include it in your listings, because you can create it yourself. Then the question is how? Well, it’s much easier than you think, even if you have no idea programming. Logically, these apps will not be at the same level as those made by professionals. But if you need an application and do not want to shell out a significant amount of money, it’s an option to keep in mind. For starters, web version or native application? When talking about applications, these two cases can occur. The first is just a version of the web adapted to mobile devices so that the contents are adapted to the screens of the mobile or the tablet. For your part, native apps are the ones you download from Google Play or the App Store. Also very simple to use, Apps Builder will allow you to integrate the content of your web page into the app. You can choose from 37 different templates and easily integrate different modules like News, Photo, Video, Shop, Facebook, Twitter, Contacts, Maps or Mail. Apps Builder offers you different levels of configuration depending on your knowledge or previous experience creating apps (from the most basic to advanced) and you can modify everything you do not like even after you have published it. You can try Apps Builder for free for 30 days, from which you will have to pay between 15 and 149 dollars depending on what your contract. 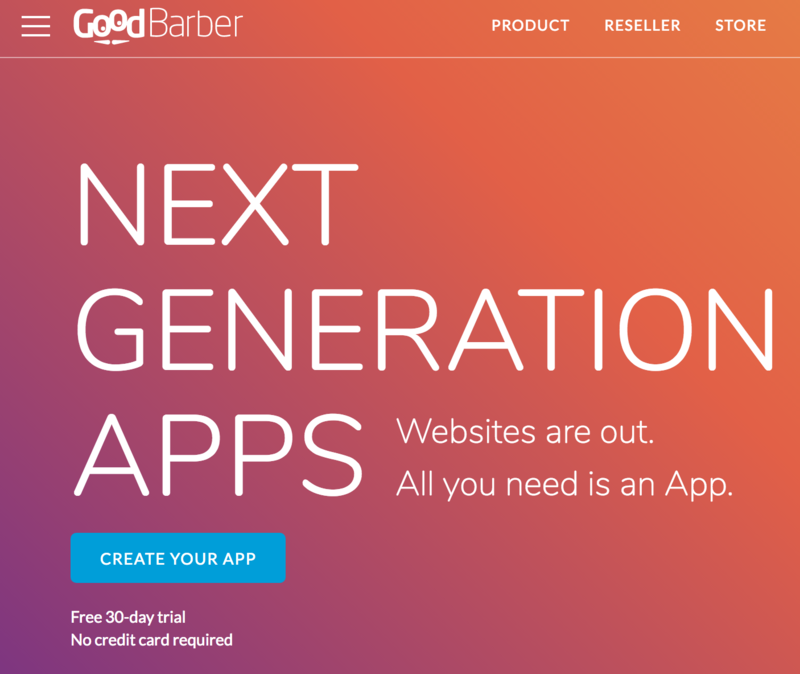 The attractive design is the main demand of Good barber, where you can create an application in just three steps: design the environment, add content and test it. For the first, you can choose from a wide variety of proposed topics, as well as different customization options such as menus or toolbars and live chats. As for the content, you can add articles, images or videos or maps and, when you have it ready, you should try it on your mobile phone through the application of Goodbarber itself. You can try it free for 30 days. Then you have different payment plans that start from 24 dollars. Mobincube has a very simple and yet very complete editor thanks to its high degree of customization. In it, you can choose between several templates or design it yourself from scratch. When you have it, you can add text, images and graphics or choose the colours of the web. 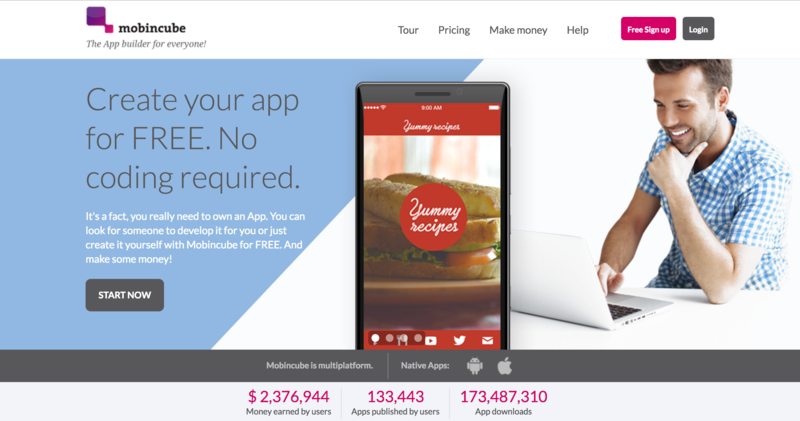 What differentiates Mobincube from the rest of platforms to create applications is that using the free plan you can publish it in the different stores of apps, although that yes, will have publicity. Very similar to the previous ones, in shoutem, you will be able to personalise your application to the maximum. To start, you can choose from the different templates that you can choose in which you can choose the colours or the location of the texts. You will be able to create your own app without paying, but as in many cases, you will have to do it if you want to publish it. These are the 4 best options to create apps without any idea of programming language. 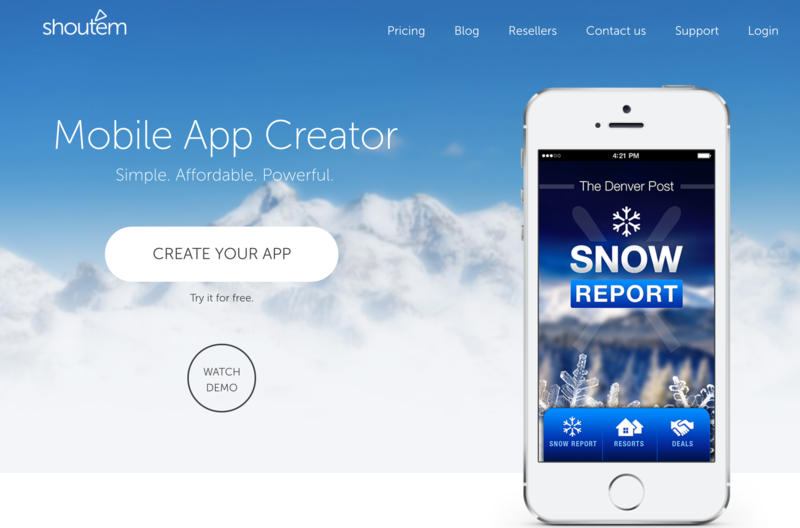 I think these apps will help us in a good way to create more and more apps. These are good options to try. If you have any queries regarding these apps, let me know in the below comments. If you have any other apps to boost up this list, write them in the below comments. We will update with those apps included. Which app do you use to create an Application (App) without any knowledge of coding?